Have you seen the gorilla? You know, the one playing the drums to that old Phil Collins’ track. It’s great, isn’t it? Now, there’s a chance you have no idea what I’m talking about. 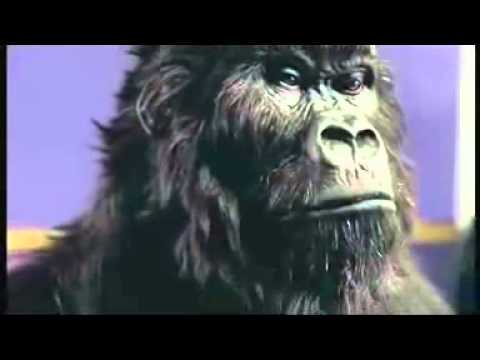 But, if you have seen this latest piece of ‘gorilla marketing’ for Cadbury, I’m wagering you didn’t see it on TV. Yet, the nature of the ‘ad’ itself shows how the fundamental challenge of communication has hardly changed since pre-history: how to effectively catch someone’s attention. Human attention systems are tuned to filter out information that doesn’t matter, largely on the basis that sensory inputs which don’t change are ‘safe’ to ignore – while ‘unexpectedness’ commands our attention. Unexpectedness is, indeed, one reason why the ‘gorilla’ film stands out from other ads. It’s unusual: it doesn’t attempt to sell you anything. The ‘anti-ad’ method of desperate attention-seeking is not new. In his classic 60’s book, the legendary Scots-educated adman David Ogilvy poked fun at what he presciently described as the ‘gorilla in a jockstrap’ approach. In this information overloaded era, the problem of gaining attention is even more pressing. As Simon Herbert noted in 1971, being information-rich makes us attention-poor. Our TV channels have exploded from the two black and white stations I stared at goggle-eyed as a boy, to the hundreds I now flick through listlessly. The internet and new technology have democratised mass communication with cheap production and user-generated content. But, despite the availability of new tools and techniques for editing, sifting, streaming and recommending content – and, if this sort of thing worries you, for tracking, valuing and re-selling your attention – the solution remains resolutely old-fashioned. It’s about trust. Between those who wish to communicate in order to sell, persuade or crusade. And those who choose to pay attention. Ultimately, trust is based on both the frequency and relevance with which you communicate. At a personal level, we all appreciate that relationships are not built by the regular delivery of junk, or by once-in-a-blue-moon, arbitrary interactions. As a result, the power to persuade increasingly depends on our ability to develop lasting two-way ‘conversations’ with our audience. Equally, it presupposes a willingness to listen. So, in many ways, the future of marketing may be unrecognisable in terms of technique and technology. Yet, for future consumers, the hard-wiring of human perception means that old-fashioned concepts like trust and engagement will remain paramount. Pete Martin is a writer, creative director, commercials director based in Scotland.